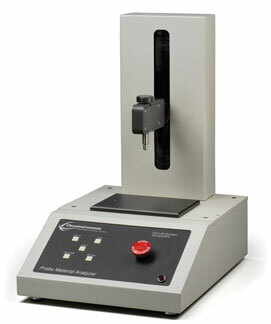 A versatile and user-friendly testing device, the ChemInstruments Probe Material Analyzer is carefully designed so you can characterize a variety of materials through the insertion, dwell and retraction of custom probe sensors. Those materials include viscoelastic polymers, adhesives and compounds. Data management is made easier with the included EZ-Lab software.